Lori joined our family as our patient communication coordinator in November 2011. She comes to us with more than 35 years of experience in the field of service and administration. Lori has devoted her entire career to working hands on with people of all ages. She loves life and has a deep compassion and a strong desire to serve others. Finding the positive side of things and making a difference in the lives of everyone that she meets is her goal. She believes that just one person, one smile, CAN make all the difference in the world. These qualities make her a perfect fit with the Henagan Team, where patient care is of the utmost importance. Lori regards the blessing of motherhood as one of the most important gifts that she has ever received! She and her husband Kenneth have eight children and five grandchildren. Encircling herself in their presence as often as possible makes her heart happy! In her leisure time, Lori loves to read and visit with friends. In addition, she loves sharing her deep faith and has done so through various ministries at Sacred Heart Church for the past 20 years. Now she is eager to serve you at HENAGAN TEAM DENTISTRY! 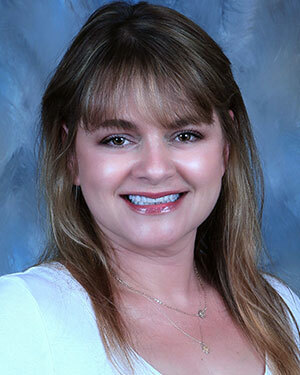 Annette has been with Henagan Team Dentistry since September 1991. She has had several roles on our team: the first being an expanded duty dental assistant for ten years, then financial coordinator for 12 years. Now, as treatment coordinator, Annette is able to use her skills to help our patients receive the treatment they desire. She specializes in answering questions about financial and insurance matters. It means a great deal for her to help patients achieve their dental needs and goals. 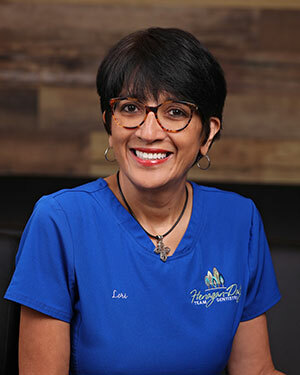 Annette also believes that listening to a patient is the single most important part of her job, and the compassion you express toward someone’s needs is a vital factor in helping them achieve dental health and happiness. Because of this, our patients feel as if Henagan Team Dentistry is family and not just a dental office. When Annette is not at work, she enjoys taking care of her family, reading, gardening, celebrating Mardi Gras, and spending time with family and friends. She is married to Charlie and has two children, Kyle and Katie. Beth graduated from Northeast Louisiana University, now known as University of Louisiana at Monroe, in 1994, when she attained her Bachelor of Science. She began her dental career as a dental assistant at the age of 19. It was then that she discovered her passion for dentistry and helping people. 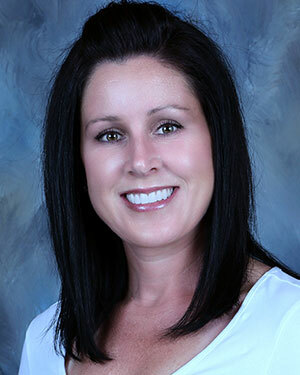 In 1996, Beth joined Henagan Team Dentistry. She loves making a difference in her patients’ healthcare and regards each and every one of them extended family members. When not at work, Beth is busy being a mom, wife, and community volunteer. The loves of her life are her three beautiful children — Payton, Isabelle, and Johnathan — and her husband Jay. She is an active volunteer at her children’s school, having served as parent club president and board of trustee member. She is also involved with the Louisiana Arthritis Foundation and the Downtown ArtWalk. 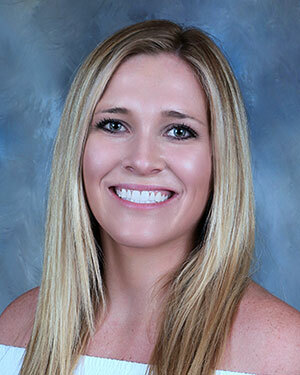 Christie brings her knowledge of dentistry alongside Dr. Henagan as his assistant. Over the past 18 years, Christie became EDDA certified by the Louisiana State Board of Dentistry and has taken countless hours of continuing education. Her responsibilities as a dental assistant include everything it takes to make the patient comfortable and have a great dental experience. She always has a smile on her face and hopes to pass it on by making each patient feel comfortable with dentistry. Christie admits that one of the reasons she enjoys working for Henagan Team Dentistry is because she feels like it’s one big family. She appreciates the opportunities she has been given over the years to travel to many places for continuing education courses. Christie enjoys spending time with her husband Beau and their children, Josh and Collin. She loves being outdoors, boating, shopping, and family get-togethers. Amy started working with us part time in October 2015. She immediately became a “part of the family” and joined our team full time in January 2016. She graduated from the University of Louisiana at Monroe in May 2015 by she earning a Bachelor of Science in dental hygiene. Amy is always eager to learn new information about her profession by attending continuing education courses. Her goal is to work as part of a team to create a friendly environment in order to help patients, and she hopes to make a difference in each of their lives. When she’s not working, Amy loves spending time with her family and friends. She enjoys shopping, boating, and traveling. Lyndsey received certificates of completion as a dental and orthodontic assistant from the Academy of Acadiana. In May 2017, she extended her education by becoming EDDA certified through Louisiana State Board of Dentistry. Lyndsey stands and lives by her favorite motto: “When you enjoy what you do, you never work a day in your life.” She loves continuing to expand her education by watching and learning various techniques from Dr. Henagan and attending continuing education courses. She feels the more knowledge she has in this field, the better she can comfort patients and people’s fears of dentistry. Her ultimate goal is to make people laugh and smile, knowing that everything she has done to get this far has been worth it! When Lyndsey’s not laughing and smiling at the office, she’s doing it at home with her fiancé Colby and son Beckman. She enjoys family gatherings, outdoor activities, and spontaneous trips to the zoo with her family. Allison graduated from the University of Louisiana at Monroe where she obtained a Bachelor of Science in dental hygiene. Upon graduation, she began her journey as a hygienist with us in the summer of 2017. Allison enjoys her interactions with her patients, and getting to know them as more than a pretty smile. Allison has known the Henagan family for the majority of her life. Dr. Henagan and Allison have always had a coach/player relationship, so it is only fitting that they continue this relationship through both of their careers. Every day, patients tell Allison that she is very fortunate to work for such great people, and she couldn’t agree more! When she’s not working, Allison loves to be around family and friends. She enjoys fishing, going to the beach, shopping, and being outdoors. 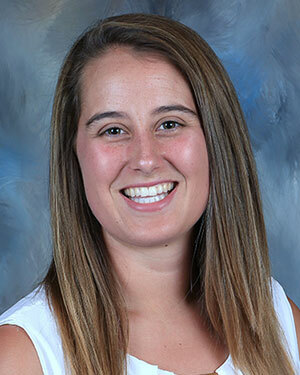 Abigail graduated in 2015 from Louisiana State University with a Bachelor of Science in biology and plans to graduate from LSU School of Dentistry in 2019. She could not be happier to come back to her home town of New Iberia, a city that has given her so much and where tradition and culture make it the wonderful city that it is. Abigail always knew that she wanted to work with people, be able to make a difference in others’ lives, and enjoy going to work every day, and she found just that in the field of dentistry. Abigail hopes to be able to continue the legacy and mission that her father started with the unbelievable team that make up Henagan Team Dentistry by bringing happiness and comfort to our wonderful patients! In her spare time, Abigail enjoys spending time with her family and friends, traveling, embracing the outdoors, and being on the water. 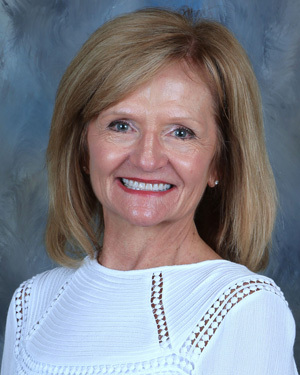 Kelly graduated from LSU school of Physical Therapy in 1979 and has spent many years helping handicapped children. Although she has always been affiliated with the practice, recently she has shifted her focus completely to the practice. She is proud to call herself one of the team even though she might be best labeled as behind-the-scene gopher. 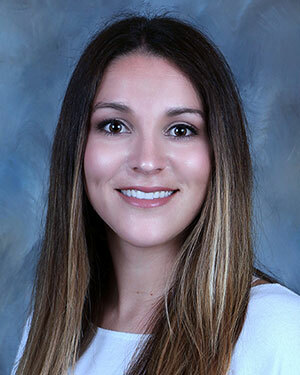 During her spare time, Kelly enjoys spending time with her husband, Dr. Henagan, and their children, Logan and Abigail, as well as taking part in exercise therapy and Pilates.